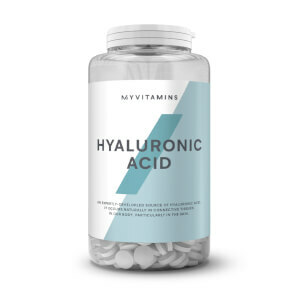 What Is myvitamins Best Man? 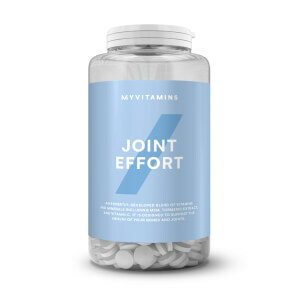 myvitamins Best Man is an innovative blend of vitamins and minerals designed to support the health and wellbeing of the active, modern man. It contains antioxidants vitamin A and E to protect the body1 with vitamin C and calcium to protect bones.2 Added B vitamins and magnesium keep us feeling energised3 while selenium, zinc and biotin maintain the health of our hair and skin4. With a complete blend of over 35 essential vitamins and minerals, our Best Man tablets are a quick and simple way to get all of the nutrients your body needs every day. What Works Well With Best Man? Best Man is a complete multivitamin for the active male. Try increasing your dietary protein with our Unflavoured Whey Protein to support muscle growth. Best Man tablets are a simple addition to your routine. Just take two tablets a day. These can either be taken together or one in the morning and one at night. Dicalcium Phosphate, Bulking Agent (Microcrystalline Cellulose), Calcium Carbonate (Carrier: Maltodextrin), Calcium (Calcium Ascorbate, Stabiliser (Hydroxypropyl Methyl Cellulose)), Magnesium, Choline Bitartrate, Calcium Pantothenate, Anti-Caking Agents (Stearic Acid, Magnesium Stearate), Korean Ginseng Extract 10:1, Potassium Chloride, Coating (Emulsifier(Hydroxypropyl Methyl Cellulose), Humectant (Glycerine), Bulking Agent (Talc)), Nicotinamide, Vitamin E (DL Alpha-Tocopherol Acetate), Alpha Lipoic Acid, Royal Jelly Extract 3:1, Citrus Bioflavonoids, Kelp Powder, Gink Biloba Extract 50:1, Zinc, Thiamine, Selenomethionine (Anti-caking agent: Dicalcium Phosphate, L-Selenomethionine), Vitamin B6, Vitamin A Preparation (Modified Food Starch, Corn Starch, Beta-Carotene, Antioxidant (DL-Alpha-Tocopherol)), Riboflavin, Nettle Leaf Extract 4:1 (Uritca Dioic L, Uritca Urens L), Grape Seed Extract 50:1, Inositol, Bromelain, Lipase, Papain, Manganese, Borax, Amylase (Gluten), Co Enzyme Q10, Vitamin D3 Preparation (Gum Arabic, Medium Chain Triglycerides, Anti-Caking Agent (Tri-calcium Phosphate), Cholecalciferol, Antioxidant (DL-alpha-Tocopherol)), Lutein, Copper Sulphate, Chromium Chloride, Vitamin K Preparation (Carrier: Maltodextrin, Phylloquinone), Folic Acid, Biotin, Vitamin B12, Molybdenum. I'm a girl and I've been using them for several months. Sometimes I forget to take them and feel the difference - less energy, less fun in a day. 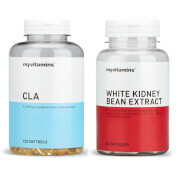 I love the combination of vitamins that it has - it really picks me up and makes me feel better during the day. Взял эти витамины по очень привлекательной цене. Доволен более чем, советую взять! As i've become older, i've noticed that i'm not looking or feeling my best anymore! After a few weeks of taking "Best Man" though i have noticed that my skin is looking so much better and i have so much more energy to look after my energetic grandchildren! 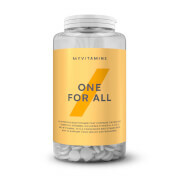 I was looking for an all in one multi-vitamin and came across this version. 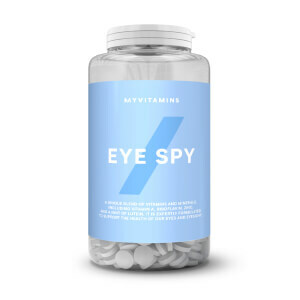 I am new to the myvitamins brand but so far I am pleased with the experience, quick delivery from initial order, plus the product does exactly what it says on the tin! I keep these on my desk at work and lots of people have commented on the packaging/cool name! Happy with the benefits so far, feeling much more energised especially before a gym session. Would recommend. Great product. Plenty of vitamins in this to pack a punch. Been taking for a few weeks now and feel on top of my game.